After successfully making Felt Strawberries, I decided to challenge myself and moved on to Felt Corn. 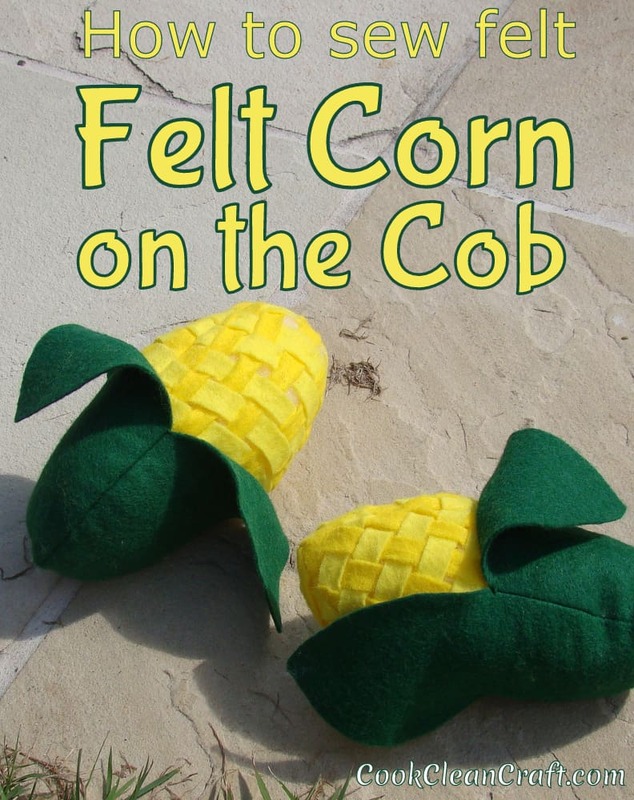 I liked the way Homemade by Jill used a basket weave approach for making felt corn in this post, but I preferred the more three-dimensional style of corn created here at Just Stuff. I decided to combine the two ideas to create a tutorial all of my own! Step 2: Cut five slits in each of the yellow ovals, just over 1cm apart (just under 1/2″), starting approximately 1cm from the edge of the felt piece. I did most of cutting with a rotary cutter and ruler, and finished off towards the edges with scissors. Step 3: Cut the light yellow (or white) piece of felt into strips with a width of just over 1cm apart (just under 1/2″). Step 5: Place a blob of glue on each end of the light yellow (or white) strips to stick to the bright yellow felt pieces. To ensure a tight weave, it is best to glue one end of each strip first. Wait for it to dry, and then pull each strip tight before gluing the other end. This minimises the stuffing showing through in the final product. Step 6: Trim the ends of the light yellow (or white) strips if they hang over the edges of the bright yellow piece. Step 7: Sewing two of the pieces together along one side. Step 8: Sew the third piece to on side of one of the other pieces. Step 9: Sew the final seam, leaving a gap of approximately 5cm (2″) at one end. Step 10: Turn the corn inside out through the hole left in the previous step. If it’s anything like mine, the weaving will gets twists and will need to be untwisted and straightened out. Step 11: Stuff your felt corn with polyfill or other filling material. Step 12: Hand sew the opening shut. Step 14: Insert yellow corn piece into the green husk. Admire your felt creations and/or give them to a small child. How fun! And they even come out of the husk! Very cute. 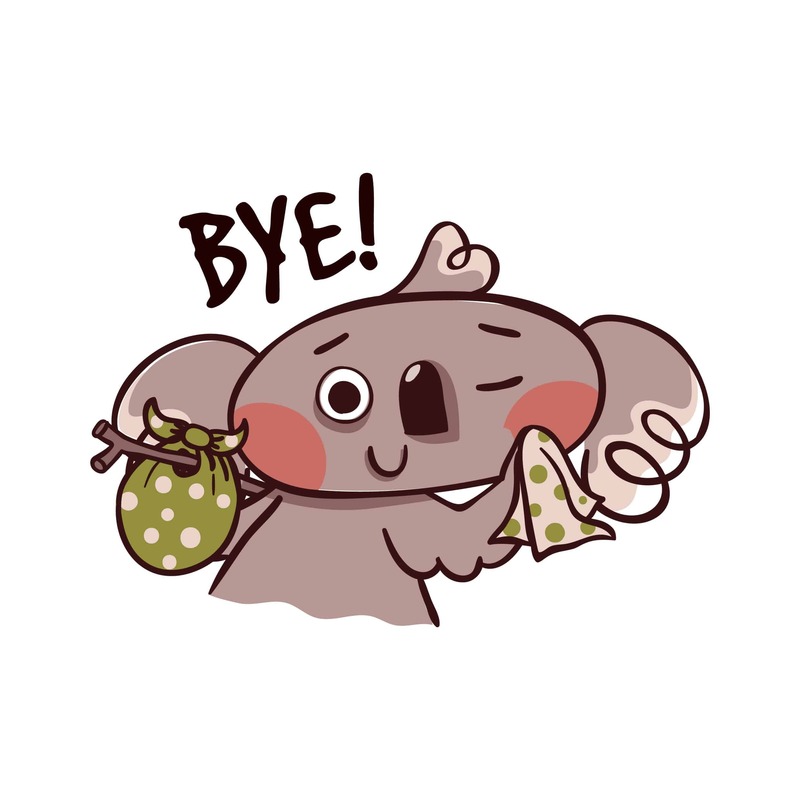 Thanks for sharing … I’ve posted a link. tutorial corn wonderful thanks for sharing. These are so cute. My daughter just received a hand me down play kitchen and I would love to make some felt food to go with it. I will be bookmarking this and hopefully will get to make some soon!